history, people & places such as…. Don Watson is being called “New Hampshire’s John Denver” and “Fritz Wetherbee with a guitar”! Bring your chairs or blankets! 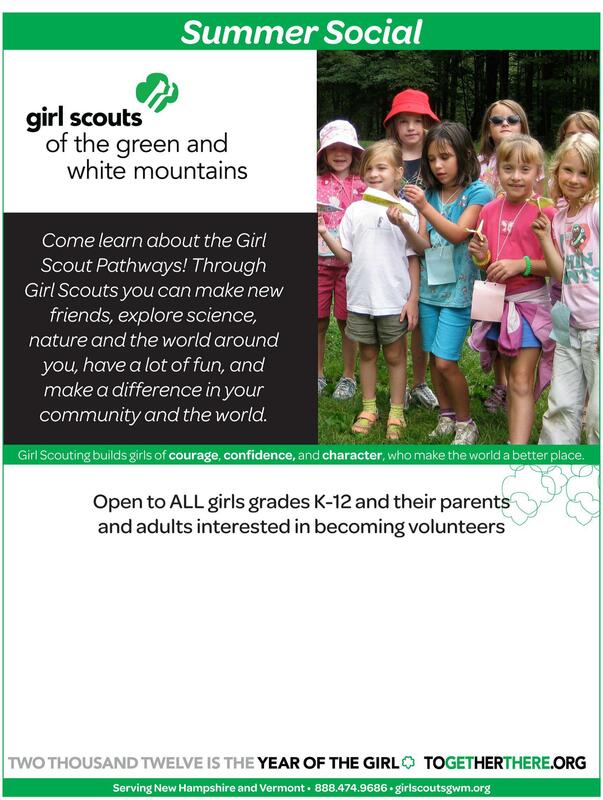 The Girl Scouts of the Green and White Mountains is looking to provide the families in our community with the opportunity to learn more about the Girl Scout programs and troop possibilities available to them! Ashley Bouchard, Manager of Membership Growth and Community Development for the Lakes Region area, will be at the library on Wednesday, August 1, 3:00 ~ 6:00 pm, with information about scouting in Hill. The HPL Board of Trustees will be meeting on July 25 at 11:00 AM, in the library.